Well the snow set in well and truly last week, even getting all the way to Lymington and giving us a small dusting. It seemed to bring half the country to a stand-still as usual, and kept many people indoors huddling against the cold. 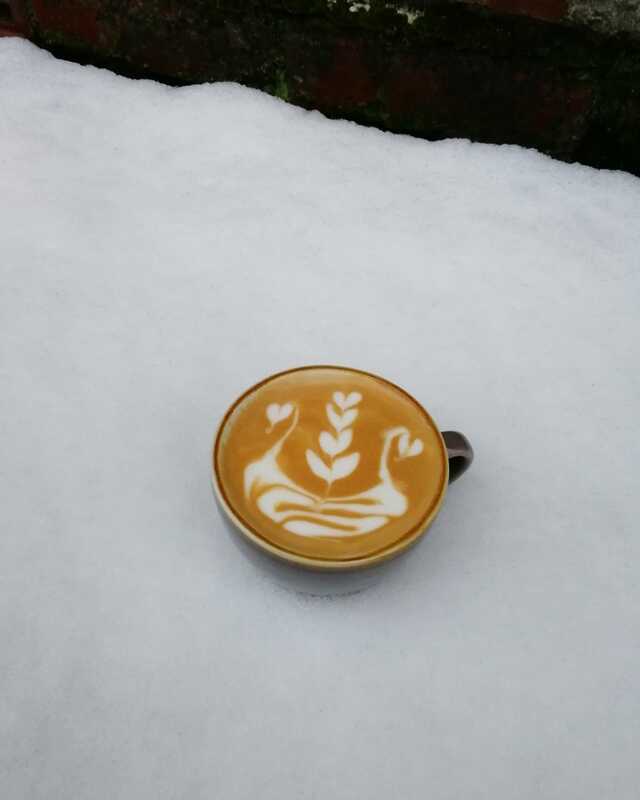 But intrepid Jass, our head barista, took it upon herself to brave the chill and for some weird reason (kidding), take pictures of her beautiful latte artwork nestling in amongst the snow crystals. The winter madness must have also got to me during January, as I decided to have a play with vegetable powders, as you do! 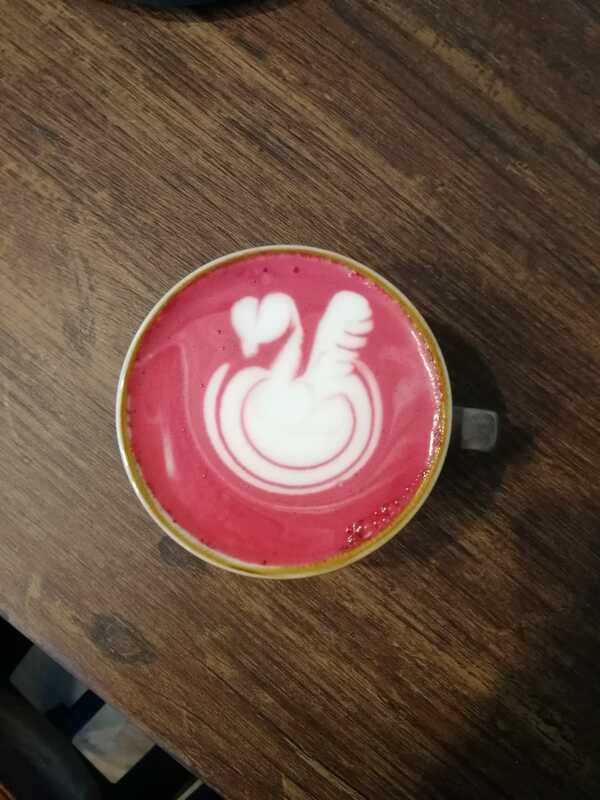 I managed to make spring greens, parsnip and beetroot concoctions, and Jass had a good time playing with them to make some lattes. 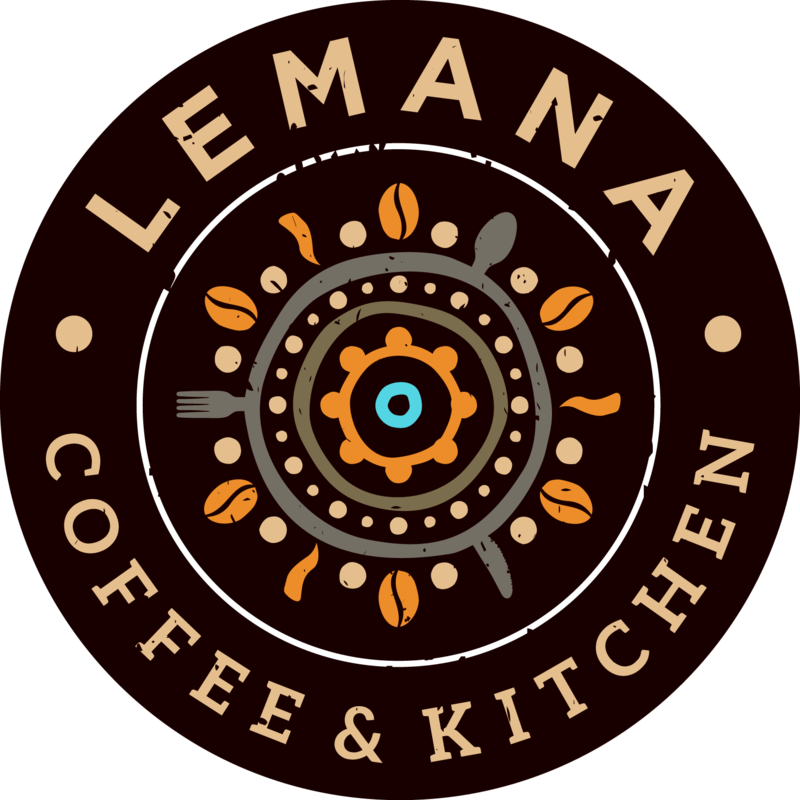 Beetroot lattes are all the rage in London (but then they do plenty of weird things up there ...), and you may or may not be pleased to know that if you ask Jass nicely, you can also get them in good old Lymington! Anyone for parsnip latte?!!! 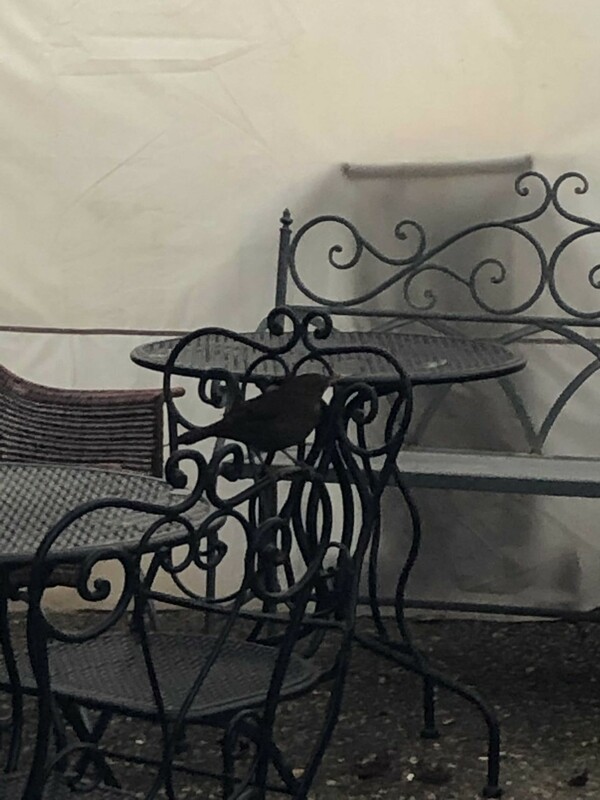 The colder weather seems to have also brought along some welcome and not so welcome visitors to the cafe this month. Unfortunately, for some time now, we've been troubled by people using our outside gazebo on a regular basis for event jaunts, often leaving their debri for us to clear in the mornings. This escalated recently to them slashing and destroying part of the gazebo window, and putting out cigarettes on our furniture, so we've had to take the walls down for a while to discourage them. Silly people, as we were relaxed and accommodating their nightly visits, despite the morning clear-ups, but have run out of patience now. On a more positive note, we now have a resident guest in our little blackbird who visits each day for a hang-out. You can just about make him out in this picture. He makes us smile with his bravery and little bobs back and forth. Name suggestions anyone? ?